Remember to put the Redirects URI into a App Settings: http://127.0.0.1:8000/login/oauth and your finally url. Get a Client ID, and Client Secret. We build a templates/base.twig.html with a Semantic UI. 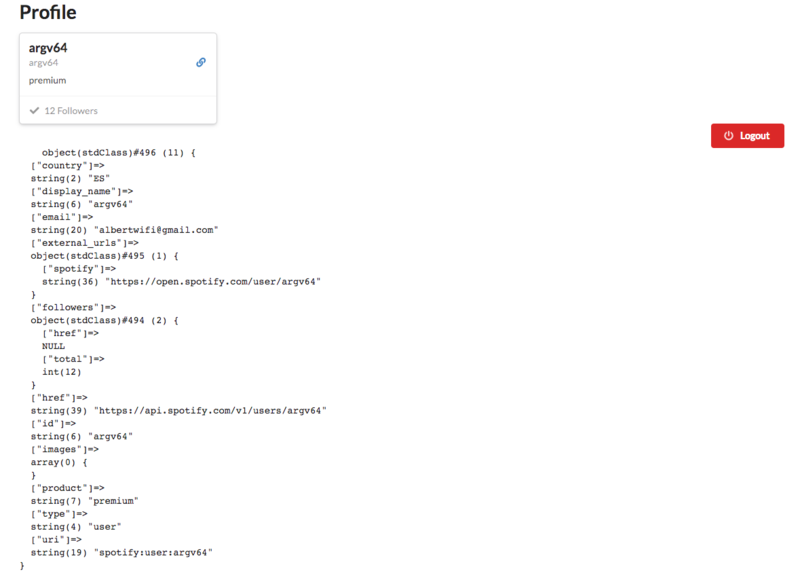 and we create a templates/auth/ folder for the templates. We get the user authorize url. 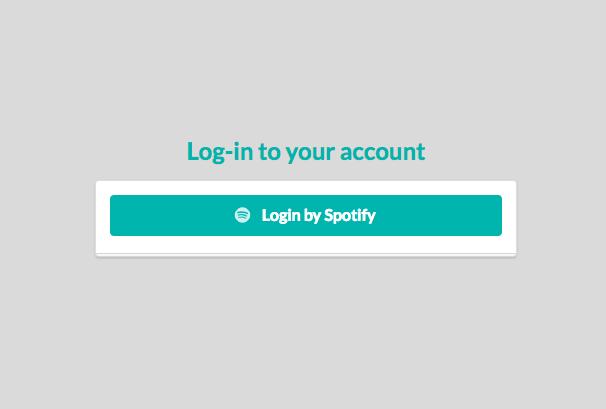 The user enter at this action after accept our spotify application. Use the profile action to retrieve the user information and show it. We clean the session and redirect to login with the flash message.